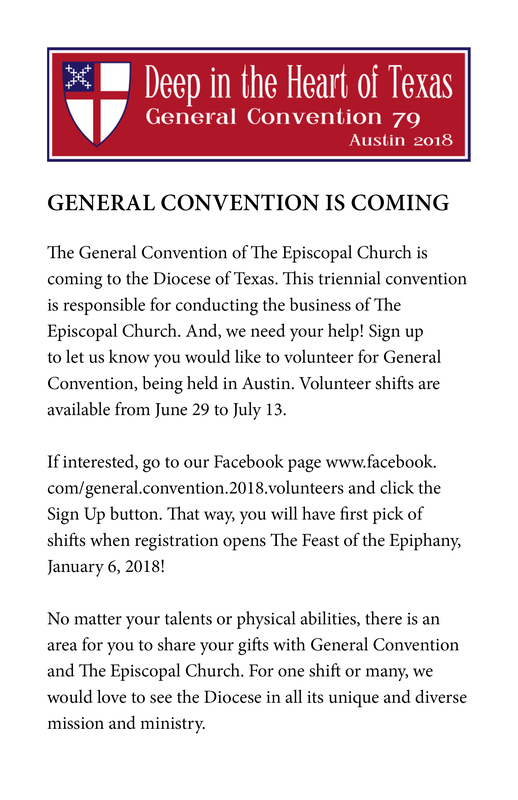 The Episcopal Diocese of Texas will host General Convention in Austin, Texas, July 5-13, 2018. 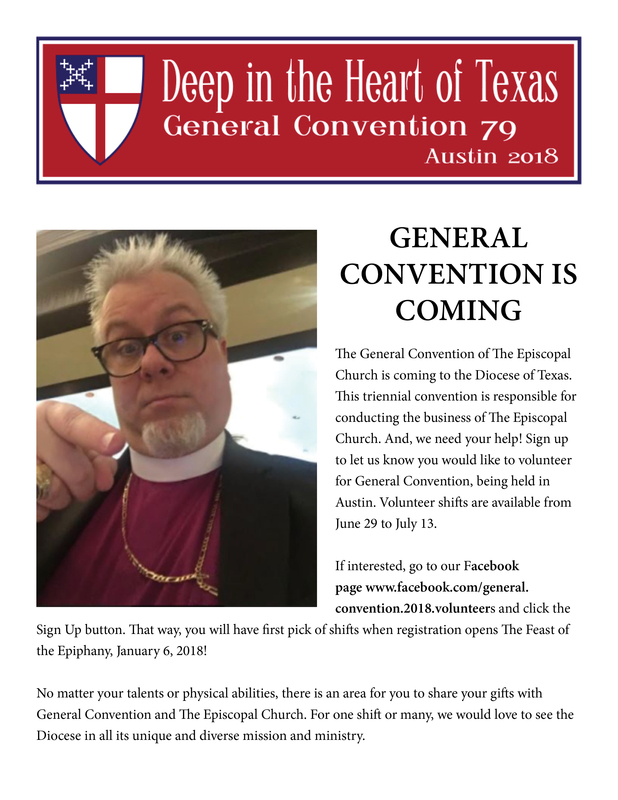 We need volunteers to bring our unique Texas hospitality to the Jesus Movement. Learn more about different volunteer opportunities here. Join our facebook page to follow all the updates about volunteers and Texas Night, Saturday, July 7 at the Palmer Event Center. Everyone is invited for a revival with our Presiding Bishop Michael Curry and an old fashioned family picnic to follow on the grounds.